A variety of local and web based applications, queries, reports, and analytical tools are available. Contact us for more information on how we can support your specific use cases and application requirements. The Green Query System is a user friendly intelligent data analytics website for Birkeland Current products. It has built in SQL database queries which provide useful information about Smart Power Strips, Clamp On Devices, Receivers, Extenders, and Dimmers. Battery voltage, total watts for selected devices, watts for individual SPS plugs, and transmissions spanning desired timeframes are just a few of the available data queries. The Real-Time Location Services Software provides temporal and spatial location information for devices and Proximity Tags. 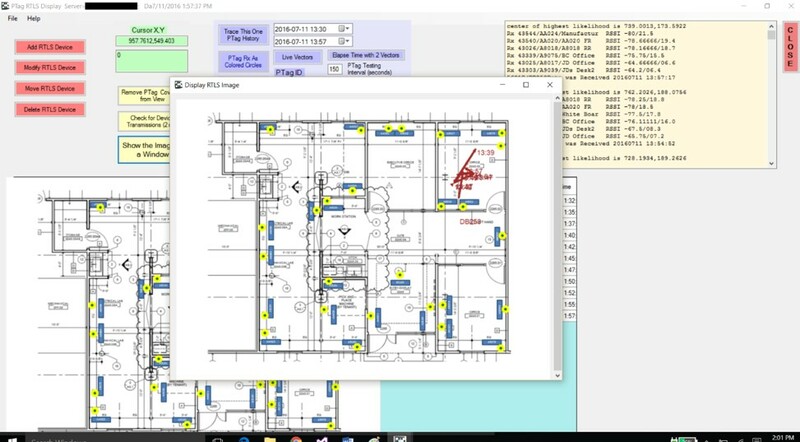 The software can trace a tag’s location within a house, office, or building over time. 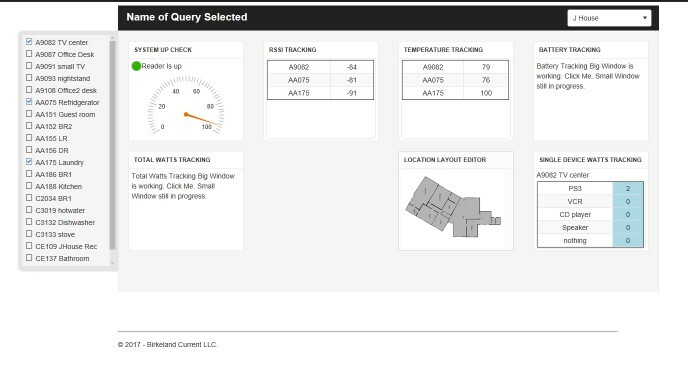 The Web-based dashboard provides a variety of customizable widgets to show real time system status and allow access to typical data views across multiple systems a single customer might have installed. User can select and arrange widgets to display for their desired dashboard view. The widgets utilize built in SQL database queries which provide useful information about Smart Power Strips, Clamp On Devices, Receivers, Extenders, and Dimmers. New widgets and features are being added as requirements come from customers.